As a caregiver for an older adult you cannot prevent a medical emergency, but you can prepare for one. Even if you are a distance caregiver, you will find that you can have your elderly parent help in preparing an “emergency kit” just in case. As a provider of geriatric care management services, I help families with whom I work to customize their preparations to the particular health needs of the loved ones. Because the emergency may not be medical, but instead may be a natural disaster, it is a good idea to have the grab and go kit in a waterproof container and/or fireproof safe. For the same reason, if you are a distance caregiver, it is a good idea to also have on hand the names and phone numbers of neighbors or friends who could be called to check on your loved one. If you have not met these individuals, use your next trip to see your loved one as an opportunity to also introduce yourself to these friends or neighbors. It will make any later, long distance communication a lot easier. Again, thinking about a natural disaster, help your loved one devise a home escape plan should they have to leave home quickly. And have at least two escape plans should the reason for escape be the sort of disaster that can damage the structure of a home, like a tornado, hurricane or earthquake. Help your loved one also to have a plan for sheltering in place for emergencies like a tornado or hurricane. Especially in the case of the latter, you should also have a set aside cache of fresh water, dry goods, a flashlight, battery-operated radio, whistle and crowbar in the event the emergency lasts for more than a day. For more details about specific responses to natural disasters, go to the FEMA web resource (http://www.ready.gov/). 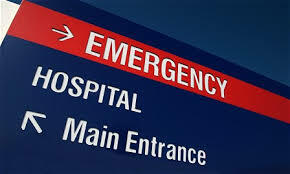 For more advice on preparing for – and facing – medical emergencies, this is a good resource (http://emergency.tufts.edu/guide/medical-emergency/). Charlotte Bishop is a Geriatric Care Manager and founder of Creative Case Management, certified professionals who are geriatric advocates, resources, counselors and friends to older adults and their families. We provide geriatric care management services to those in metropolitan Chicago. Please email your questions to ccbishop@creativecasemanagement.com.